take you directly to her sites! Darlene Shortridge happened upon my blog and I’m so glad she did because we’ve gotten to know each other and I enjoy following her blog. She usually makes me laugh with her quirky and witty humor and by the end of her blog–she’s wrapped it up into a deep spiritual message. I also enjoy our facebook friendship. Not only is she a writer, but she’s also a fabulous cook. Now, I’ve never tasted any of her meals, but reading about them makes my mouth water. I had the cool opportunity to read her ARC of Until Forever and review it. You can read my review here. Everyone, meet Darlene. Tell everyone about yourself, Darlene! First off, My most important roles in life are as a wife and a mom. I love my family and the life God has blessed me with. Next, I am a writer. I live in Northeast Wisconsin with my husband, Danny, our two children, one of which is getting married in a couple of months, and our dog, Leia. My chosen college major was voice and I learned that writing was dear to my heart. 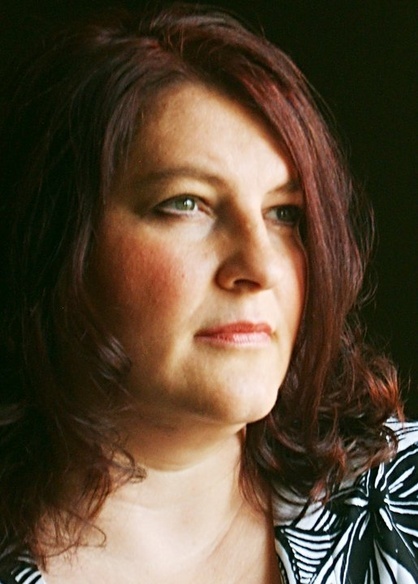 I have written songs, poetry, children’s plays and curriculum, short stories, posts for my blog and my first novel. Wow! You’re busy. When do you find time to write and where do you let the magic happen? I write in a corner of my living room at a small computer desk and presently in a very un-comfy computer chair, usually late at night when it is quiet. So do you seat of the pants it, or plot? I do plot. I would say I am part organized and part seat of the pants. I do outline, but I am free to deviate from the plan. I have to have a general idea of how I am going to get from point a to point b, or I get lost and have no direction in my writing. In doing this I plan out practical, believable ways my characters achieve their goals in my story lines. Did you have any particular inspiration for the idea? And what would you say the main theme or message is to readers? I’m getting old here. You expect me to remember that? I don’t think I got the idea from any specific one place. Mostly this work is complete fiction. There are little things in my life that parallel Until Forever, really little things. Like…my son loves pizza, as does Ethan, the little boy in the story. I get the question all the time asking if this is my story. It is not. When I write my story, it will probably be one of the best books I ever write. It is not time for that…yet. My husband really likes to answer this question with a question. “How do you forgive someone who commits an unforgivable act?” So, ultimately, I believe this story is about forgiving one’s self, each other, and God, for His “supposed” offenses. We tend to blame God for hurts and problems in our lives when nothing could be farther from the truth. His love is so great we cannot contain it. He longs to hold us in His arms and comfort us when the consequences of sin permeate our lives. Good word, Darlene, and so true. That clearly comes out in your novel. I know women 18 and up are your target audience, but share with us a neat little surprise about your book! Men love this book! I do not know why. Haha! This was not intentional, I did not write this with men in mind. I have had men approach me crying, thanking me for writing this. I believe the men in our world hold on to secret hurts and deep-seated feelings of being unforgiven. Because men as a whole are less emotional than women, we tend to downplay the affects of sin and grief men hold on to. Until Forever opens up some of those portals and exposes the hurts. It also offers them hope, hope that they can turn from sin and be a good father and husband. I thinks that’s incredible! What kind of books do you enjoy reading? Any authors who inspire you? I have really been into Liz Curtis Higgs lately, especially her Scotland series. Love it! I read a variety of books. I find I am constantly learning from other writers. I read self help books, books on finance, books on writing and then lots and lots of fiction. Lately I have been reviewing books for other writers. Not only is it interesting, but also this opportunity has given me new and fresh ideas for my own writing. I tend to shy away from any type of horror and mushy romance, other than that I will give it a go. I love Liz Curtis Higgs too. I had the chance to meet her at the WFTS conference in Feb. She’s amazing! Before you go–and thanks so much for coming– Darlene, tell us who published you and a little about your pub experience. I started looking for a publisher shortly after completing Until Forever. I ended up with three contract offers, one from a full service publisher and two with subsidy publishers. I realize the obvious choice to most would be with the full service, but neither my husband and I nor our pastor had a peace about this particular publisher. I ended up with Tate Publishing. I believe it was the right publisher for us at this time. I was able to maintain some control of the direction my novel took, which was important to me. LOL…the publishing process was long! Publishing is not for the faint of heart, nor those with the “I want it now” attitude. Patience is a necessity! I quickly came to the realization that while editing was my least favorite part of the process, it is the most important part. I poured over the manuscript looking for errors. I also learned this is something we as authors must do. Our editor does not do this for us. That was a wakeup call. My favorite? Ah…finally getting the book cover exactly the way I wanted it and holding a copy in my hands. My daughter did a mock up for my graphic artist. That really helped in sharing the vision for the cover with my artist. 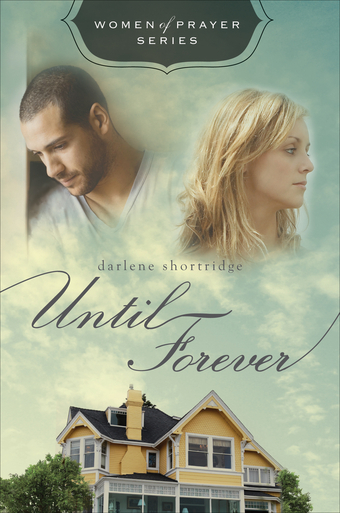 Darlene is giving away a copy of Until Forever! If you would like a chance to win it, leave your favorite recipe in the comments section and your contact information. The winner will be announced on Friday! Here’s a teaser for Until Forever and one of Darlene’s recipes! “Until Forever is a story of a young family that is torn apart by the devastating effects of alcoholism. Can healing take place in a relationship when an unforgivable act is committed? Will Jessi’s pain and Mark’s guilt keep them apart forever, or will unforseen circumstances bind them together? Grease 9×13 baking pan. Mix above ingredients and press into baking pan. Bake for 30 minutes at 350 degrees. Refrigerate to cool. 2nd layer: ½ c. butter, ½ c. packed brown sugar, ¼ c. sugar, 2 tbs. milk, 1 tsp vanilla, 1 c. flour. Spread on cooled brownie mixture and refrigerate to set. The brownies will be ready to cut after the chocolate has cooled in the refrigerator for 15-20 minutes. A tip: If you do not like the edges of brownies, cut them off while cutting into squares. This will make all the squares uniform and make each square equally as tempting! This is just one of the many questions raised in Darlene Shortridge’s debut novel, Until Forever. I’ve had the privileged opportunity to read Darlene’s book before it hits the bookstores and online shelves later this month. In the first chapter, she gripped my heart with a tragedy feared by all mothers. She held it as her characters journeyed down a tough road filled with alcoholism, death, divorce, and prison. Just when I thought things were looking up, Darlene threw the curve ball and struck my heart again. Sometimes, it takes God allowing many painful experiences to bring His babies into His kingdom. I enjoyed Darlene’s story and her writing style. ﻿ This book is the first in Darlene’s Women of Prayer Series. I look forward to reading the next one.